The Monetary Authority of Singapore (MAS) has issued the Tripartite Advisory on Human Capital Practices for Insurance, which sets out good human resource practices for the insurance industry. The advisory provides guidelines on how employers in the insurance sector can build a talent pipeline, adopt skills-based hiring, and manage retrenchment responsibly. It also encourages insurance firms to support their employees in reskilling and transitioning to new roles in the face of massive changes to the insurance sector brought about by technology. 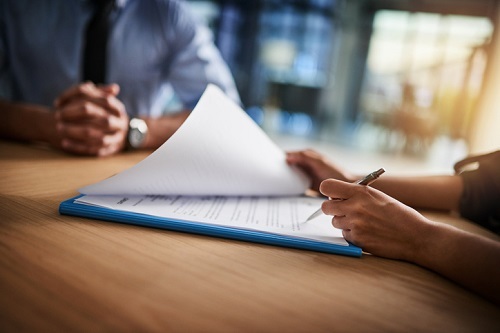 According to the MAS, insurers, brokerages, and similar firms should focus on an applicant’s skills instead of setting a strict minimum number of years of experience. The companies must also assess the impact of technological changes on their workforce, and work together with the MAS, Institute of Banking and Finance (IBF), and Workforce Singapore (WSG) to reskill and redeploy their employees into areas of job growth through professional conversion programmes. “Business and workforce transformation must go hand-in-hand,” said Jacqueline Loh, deputy managing director of MAS and co-chairperson of the Financial Sector Tripartite Committee (FSTC). Ten tripartite partners from the labour movement, employers, and government were behind the creation of the advisory, which is the second for the financial industry, following a similar one for banking issued in March 2018. Among the financial services sectors, insurance employs the second-highest number of people following banks. The advisories are under the jobs and skills pillar of the financial services Industry Transformation Map (ITM). “I am glad that the insurance sector is collectively adopting this advisory,” said Patrick Tay, assistant secretary-general of the National Trades Union Congress and co-chairperson of FSTC.